This entry was posted in Attractions, Family Vacations, Insider Tips and tagged Journey to Atlantis Ride, Manta, One Ocean, Pets rule, SeaWorld Manta, seaworld rides, seaworld roller coasters, SeaWorld San Diego, Shamu by Aki. Bookmark the permalink. I always go to Sea World on my birthday. I love it and can’t wait for the thrilling experience of Manta!!!! I have gone to Disney in florida, I had a a lot of fun!!!! I’m way too terrified of adrenaline fueled rides, but I got to say the Journey to Atlantis, or any of the water types listed in here looks pretty fun. It would be quite a fun ride to share with my family. They let you store your extra clothes in a locker right? going soon. We love this place. ‘Disneyland in the sea’… We dont have anything like this in New Zealand… your Sealife Park is amazing and World class!!! Haven’t been in a long time, would love to take my grandkids! seaworld is always a fun time. are the clydesdales still there? My husband and I celebrated our 25th anniversary last June and are just now getting away to celebrate. We will be in San Diego in just two weeks and this would be a really fun “date” for us. We live in Pittsburgh, Pennsylvania and California is out favorite vacation spot. Sea world is the best. This year will be the first time my daughter will be able to go! I grew up in San Diego and moved to Mississippi due to the military. We are coming back to visit in July and would love to go to, what looks like, a whole new Sea World!!!! love San Diego, and Sea World was a blast ! would love to go again. I need a Sea World fix for my kids!! We are moving to San Diego at the end of the month, what a good welcome to San Diego prize this would be! I have a 2 year old that loves Elmo and a 6 year old brother my mom is disabled and I’m having back surgery in 2 weeks! I’m only 23 year old. How amazing would it be if after my back surgery I could take the kids for. A day of fun and get to do everything with them. I’ve never been able to take the kids to do fun things like sea world because of my back issues and disability doesn’t pay much! I can’t believe how sea world has changed its been about 10 years since I’ve been they! But it so expensive these days!!! We just moved to San Diego and now that our boys have grown a few inches Seaworld has moved to the top of our “family adventure” list! I would sooo love to go! Who doesn’t enjoy the outdoors and fun! Wuuhuu for Sea world! Love SeaWorld, would love to take family and friends to visit this summer. Times are a bit tight lately, so would be great to get a free ticket! This is the place to bring out of town friends and family.. I absolutly love San Diego! I want to move there some day!!! We’ve been hoping to go as a family since we moved here 2 years ago. Sea world would be a Perfect getaway for us!!!! Haven’t been to Sea World in a while…this post made me want to go back soon! I SOOO am looking forward to taking my 3 kids (and their cousins) back. My youngest hasn’t ever been there and it’s been too long since my older two have been! Seaworld is amazing. I love the glass tunnel through the shark tank in Orlando. Looks like the new Manta ride is going to be as exciting as Kraken. I would love to take my girlfriend here before she moves back to her home country. I have lived in San Diego 10 years and always assumed Sea World was a bunch of shows. I had NO idea how many cool rides and attractions you all have. WOW! Now I want to checkout the park. Thanks for writing this post! My husband and I have never been to Sea World and have lived here about a year now. We would love to be able to take our feinds who are visiting with us for this experience. It looks like such an awesome place, we just do not have the money for it right now. Hopefully one day we can experience this fun too! I’ve never been to SeaWorld, would love to go! College student moved on my own with roommate and trying to explore and trying to be successful in everything I do my baby nephew would love this ! Went here 15 years ago with our kids for Easter. Would love to bring our big kids back again this year for Easter! SeaWorld rules! SHAMU LIVES ON! Haven’t been in years.what a great way this would be to have some family fun. Wao! Thanks @visitsandiego for passing this along. Lots more reasons to visit sunny San D! I’ve never been to Seaworld but I’ve always wanted to go! I’ve been to to SeaWorld twice and always had fun while visiting. Its a must when visiting beautiful San Diego. I would love to go again and again! I moved from San Diego 2 years ago leaving some of my family behind. Sea World is on of the top places that I miss so much. I would love to come back & visit my family, friends & Sea World. 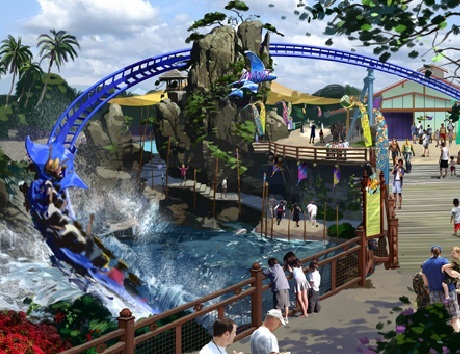 By the way, Manta, looks like an awesome addition to Sea World. i need a getaway and this would do the trick. Would love to take my nephews for a day of smiles , as we all need some. Thanks! What a fun, family adventure! No matter your age! I will be in San Diego In August from London England on vacation would be great to win 4 tickets to sea world as the beginning of this year has not been so great so far sea world would be the perfect way to relax enjoy and have lots of fun thank you for this opportunity. SeaWorld is the best. 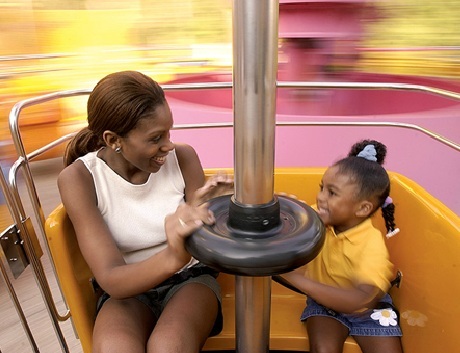 Make sure you plan your visit well to see all the shows and take all the rides! Get a silver pass. Great deal! This looks so fun!!!! I would love to go to this!! So much crap going on in life right now, a vacation is just what a broke. Heart needs! Love Sea World! Grew up in Ohio where Sea World of Ohio was, then it was gone! Had season passes every year! We love seaworld sd! Probably one of my favorite places in cali! It is my happy place! I would love to try out all the fun things at this wonderful place! Going back home for vacation and my girlfriend has never left Tucson so the first place I wanna take her to seaworld:) can’t wait..it’s been along Time since I beentheir. I am coming home to San Diego next week. A Sea World day with the family would be great. I haven’t been to SeaWorld in years!!! I’d love to take my son to SeaWorld for his FIRST amusement park adventure!!! My boys love the sea life and have never had the opportunity to visit the park. This would be the perfect chance for me to spend one of the best days ever with them!!! Day with daddy at Sea World! I love Sea World!!! Need to get there soon!!! I’ve never been to Sea World. Would be a great way to enjoy time with friends over the weekend! I last went there as a kid. Time to check it out as a grown kid. I love SeaWorld!!! We will be coming for my daughter to run in the Dodge Rock ‘n’ Roll San Diego Marathon to Benefit The Leukemia & Lymphoma Society. So excited to come see the fun attractions! We haven’t been to Sea World in such a long time but it is one of our favorite places to go! Thanks for taking care of the animals of the sea! We love San Diego and want to “leave Las Vegas” soon to come back! Our 3 yr old preemie has never been to Sea World or any other park for that matter. We hope we can make it soon! Poor law school student! Would love to take a study break and hang out with some cool animals! Looks like some great rides. I would take my friend, Ekta, an international student from India, if I won. She’s never been and I think that she would like it a lot. Starving college student here. Would really love to spend some time at Sea World. 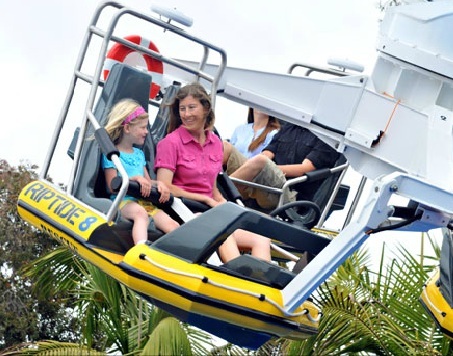 We haven’t been to Sea World for a couple of years now…we would LOVE to get~a~way to San Diego for a few days…the new Mantra ride looks AMAZING!!!! I really would love to go to seaworld for my 17th birthday! Amazing attractions……would love to see them with my babies!!! We don’t haves attractions like that here. 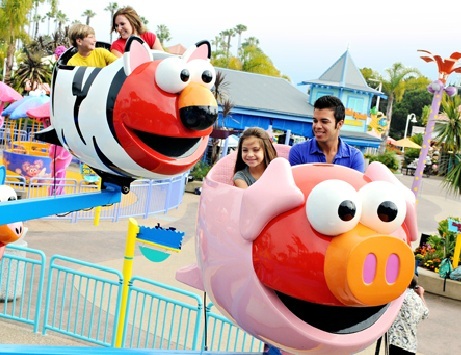 Soooo Excited for the New Manta Ride…..We have not been since you put in Sesame Street area!Would be a great day to reconnect with Sea World!! My kids are going to San Siego in a couple of weeks with their Grandparents. Would love to send them to Sea World! We are from Vancouver BC. We love Sea World! I feel like I grew up there – we always had annual passes when I was a kid, and we got full use out of them. 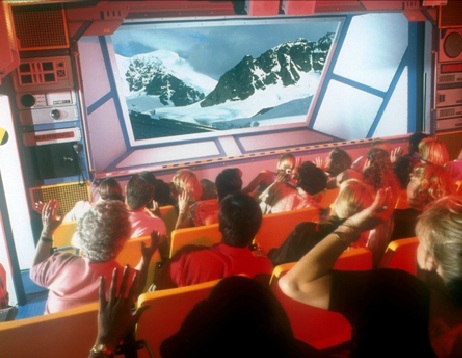 If only they had rides back then – what a great addition! A family day at Seaworld would be instantly memoriable, my daughter would be filled with tears of joy. Can’t wait to see all the attractions since we have never been their. I have never been to sea world and I lived there for 14 years!! I need to see the new attractions at Seaworld!! We love to visit SWSD at least once a year and can’t wait until we can get there and try out Manta! I haven’t been to sea world in years. Been wanting to take my girlfriend for a while. Would really love to win this. I REALLY want to go to seaworld! Love Sea World. It’s too bad Cap’n Kids World is not there. Fond memories of the rope bridges 🙂 Now I’d like to check out the new skool stuff with my own kids! My daughter would love to go to Sea World – we have never been as a family. I am born and raised in San Diego and do not live there now because my husband is in the Marine Corps. My husband and our kids have not been to Sea World yet and I know they would love it. It would be great to get back to San Diego to see family and do something fun with the family while we are there before my husband goes on deployment. Coming to San Diego in August would love to win 4 ticket a vacation well worth the wait if ticket were mine thank you for this opportunity I love sea world. All of us San Diegans are so lucky to have Sea World in our backyard ..it’s a great place for families!! Sea World looks like it has gotten a upgrade, which is great! I’d love to take my family to experience the park together! I have three daughters that would love to go again. I can’t afford passes for them this year as I am on disability. Please let us have the opportunity to have a wonderful day at Sea World again. They deserve this!! My family and i are coming to San Diego in July and would love to have tickets. Thanks! Really want to go to sea world! I haven’t been in over 10 years and my best friend and boyfriend have never been ): hopefully one day we can! I WOULD LOVE TO TAKE MY FAMILY TO SEA WORLD AND EXPERIENCE ALL OF THESE NEW RIDES AND ATTRACTIONS!! Love Seaworld and the upclose interaction with the animals and education also. The new rides look cool. Haven’t been to Sea World in so long. Would love to take my kids there. Been to San Diego many times..never had the opportunity to visit Sea World. Would love to do it this year! Never been. Would love to see it. Love Seaworld! It’s been years since we’ve visited but it’s always a fun time. I love Sea World! We need another visit since the last time we were there we had to leave after three hours because of rain! I haven’t been since I was a kid! Gotta LOVE SeaWorld. Nothing like the San Diego weather to enjoy everything there. The shows are so fun, you always get a good laugh ! Hope I can win the tickets to take my family ! I miss my home town! 4 tickets would be perfect for me, my sister, my nephew, and my mother! We miss SeaWorld! Our annual passes expired just as the Manta was being built. We’d love to go back! I want a fun day in Sea world!!!! Da, da, da da da! SHAMU! SHAMU! Gosh!!! ALWAYS great memories from SeaWorld!!! We are new to the area. I’d love to take my kids! Our family loves Sea World!! We try to visit at least once a year. We live in Utah. 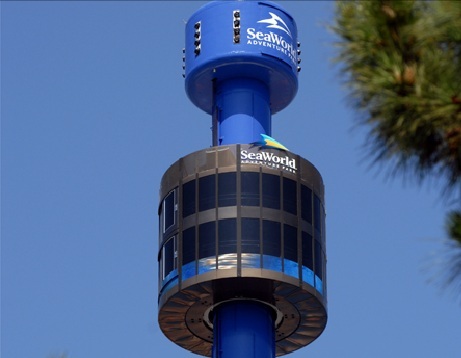 I understand why rides are good business, but it always feels like a further betrayal of what Sea World is supposed to be, an aquatic zoo and something for people to do while they make their way from beer cart to beer cart. Love the new rollercoaster. Wish Seaworld wasn’t so expensive, I would love the free passes. I love Sea World!I want to take my kids to the Sea World before my husband deploy for 8months. This would be a great ….another reason to visit my son & daughter-in-law in sunny California….HOOYAH…..
SeaWorld is so fabulous! Not only fun, but educational at the same time – always a family favorite!!!! Last time I was @ seaworld was in 1999. I have been trying to go again. Miss the sharks and penguins encounter. Its a great local place. I haven’t been to Sea World in YEARS. Glad to see that the park has expanded and now offers thrills for the older crowd as well. would love to revisit my childhood with a family day out! I wish we could afford to bring our kids to Sea World ever since my husband got out of the Army things have just been too tight. Our 2 year old would go crazy getting to see all the new creatures! It has been so long since I’ve been to Sea World, I would love to see all the changes. After not having a vacation in over 3 years,due to being laid off….i am from the San Diego valley…would love to take my wife there!!! go to Sea World plus show her my old neighbrhood!!! San Diego and Sea World are my two favorite places! I would love to be able to take my God Son! My children have not been to Sea World yet. We live in Vegas but I grew up in SD. We have a family of 4 so winning tickets would be perfect! I love Sea World. The Penguine exhibit is my favorite, but all of their shows are outstanding! Especially their world famous Pet Show! Everyone needs to experience Sea World! We are new to San Diego and are looking forward to take the family to Sea World! Haven’t been to SeaWorld since I was a kid and it’s Not San Diego Without SeaWorld. I would love to be able to go again!!! We absolutely live sea world! There is do much new stuff since the last time we have gone! Being a single mom is hard…..I’ve been trying to save enough money to take the kids to see all the amazing sea life I enjoyed as a child. We LOVE Seaworld! It would be great to have the opportunity to go again!! Seaworld is what defines San Diego! I’ve lived in San Diego my whole life, and for as long as I can remember, SeaWorld has been undoubtedly one of my favorite attractions. It has it all. From the rides to the underwater adventures, it grabs countless visitors every day. With this new ride too, I think it will skyrocket the attraction by so much more. Everyone I’ve ever known to come visit SD has named SeaWorld as at least in their top 3 places to go. It’s a great places to take all your friends, but most importantly, it’s an amazing place which accompanies the entire family. Anyone remember when Sesame Street Bay of Play was Captain Kidd’s World??!! Man, that was my favorite place to go as a kid! We took our kids a few years ago and they loved it! Can’t wait to get back! We live in Arizona and would LOVE a day at Sea World…It seems to have changed soooo much!!! 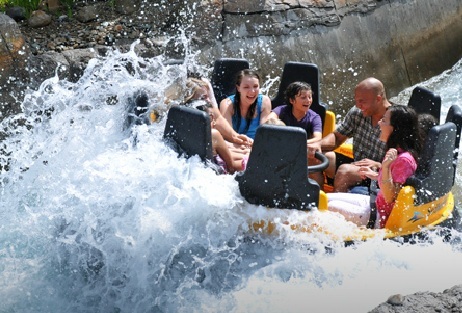 This would be awesome… My kids would love and have not been on these Sea world rides. Love San Diego and we love Sea World!!! We come from France (Bordeaux ) to visit SeaWorld in 15 days !!!!!!!!! Sleepless in Seattle Family would Love to see some SUN and SEALIFE attractions at SEAWORLD. Never been to San Diego, would Love the Opportunity to go. Thanks! It has been such a long time, would love for my kids to go and enjoy the park as well as San Diego! I can’t wait to go back to SeaWorld! I have been missing it so much. I’ve been to Sea World in Orlando…but never San Diego! I’d love to go! I love sea world this makes me want to go ASAP!!!!!! I love sea world! Can’t wait to take our little one sometime soon! My son is turning 7..this would be a perfect birthday trip! We love Seaworld! I would do anything for these tickets…….anything….go ahead call me on it…….ok ok anything legal………. It would be a wonderful way to celebrate my upcoming 50th Birthday because you are never too old to enjoy SeaWorld! Love Sea World! Great place to take the kids!! Sea World is amazing! We would love to come! Love Sea World…would love to take my granddaughters to see everything you have to offer. I love Sea World! It’s been way too long since I’ve been there!! Haven’t been to SeaWorld in such a long time! Time to go on some new rides. Grew up in San Diego ..came back and spent my honeymoon at sea world/SD zoo 😉 I would love to show my stepsons this amazing place!! Being from phoenix az, they have never seen anything like it! Am so so looking forward to going to Sea World this summer. Even though my children are all grown, and I won’t have my grandchildren with me, my 23 year old son has promised to go with me. One of my favorite places. I host and tour exchange students from many countries and their top preference for sight seeing is San Diego and Sea World. I have always been so busy making sure they have a great time there that I have never really had the chance to take a ride for myself. Would love to just chillax and take in the newest rides. The new ride looks so exciting!! It has been such a loong time, would love for the kids to go.. I love Journey to Atlantis! I still have never been to SeaWorld, but this blog makes it seem fantastic! Sign me up! I love Sea World!! And its great when new attractions open!! LUV San Diego. Wanna go to SeaWorld ! Really want to go this year. I’ll need my Manta fix. Sea World is such a great place 🙂 Born and raised in such an amazing town…Thanks Sea World! Mmmmmm, LOVE seaworld! Haven’t been there in way too long! Love Sea World! So glad they’ve added rides… They didn’t have those when I was a kid! Can’t wait to take my kids there!!! My daughters have never been to Sea World! I live up in the High Desert and I would so love to be able to take my girls there!! I hope yo would pick me!! Nothing would make my girls happier then to take them there! First visit to San Diego in June this year, a trip to Seaworld would be awesome, looks fantastic!!! Can’t wait!! I grew up in San Diego and I can not wait to take my two kids here the next time we visit my parents who currently still live down south! I would love to have a day at sea world!! it is the best!!!! I am missing Sunny San Diego and Sea World! That is where a lot of my childhood memories happened and I need to take my own children there to experience it! Sea World San Diego is the best. Would love to win the tickets! Sea World is my Disneyland!!! I love it!!! Would love it…it’s been way too long since I have visited SeaWorld. I LOVE DOLPHINS!! need more of them in my life! I’m thinking my son would love to go to SeaWorld for his high school graduation trip! SeaWorld is one of the best parts of San Diego. Always a lot of fun!! Love Sea world I ask my kids where do you want to go Dineyland they all say no I want to go to Sea world they would live there if they could. Haven’t been to Seaworld in years…since the kids were young. Would love to go again! Oh Yes Please. This would be a very nice way to improve our trip from PA next week. Elmo is my favorite thing in the whole world, almost. But as a fish? I’m going to have to see this! I would love to take my 2 year old to Sea World. A mini vacation. Some of these new rides look very fun!! Can’t wait. I need a SeaWorld day soon! Love it. Seaworld is the BEST! would be happy to go again and see everything they have! 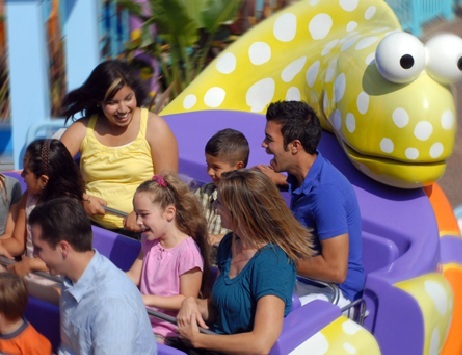 I have been to Sea World many times with my kids and have never been on ANY ride. My youngest is a just now 4 so I always stayed with her at the stroller while everyone else rode! They look fun! We would love to go to sea world this summer! Cant wait to visit , travelling from Ireland in April with my 11 year old daughter….we definitely plan to visit Seaworld ! We love Sea World and San Diego….How great it is to be a Californian…..!!!!!!! Best place for fun in the sun and family time!!! Ahhh Seaworld….never going to forget my horror when a seagull divebombed me when I was in 4th grade stealing half of my nachos! I miss sea world! we used to take our son all the time. he loves sesame place. great rides for toddlers! Been here Romany Times. Wish they would change there shows once in awhile instead of the boring shows they have constantly. I know they have special shows during Xmas but come on same shows year after year. It gets boring. Love love love Sea Wold 🙂 I went last year and it was so nice.. I would love to take my boyfriend there for our 2nd annivarsety and dine with shamu. Also excited to see the new Manta ride it suppost to be amazing. YES! Bring it on, summer! Sea World is here! Please pick us! We will be going to San Diego for Spring break and have never been to sea world! I need a pass so I can join my daughter begging me to go with her. I’m a San Diego native and have been for any of the multiple new rides! Love Sea World would love to take my grandchildren there, boy would 4 free passes be great!! We are heading there with my family in June/July and sure would love to have those passes. Love San Diego!! I have been promising my nephew and my girlfriend a trip to SeaWorld. We live within a few miles but we are “under water” financially right now. We would love to sit and watch the whales and the shows. I love SeaWorld and I haven’t been in years! 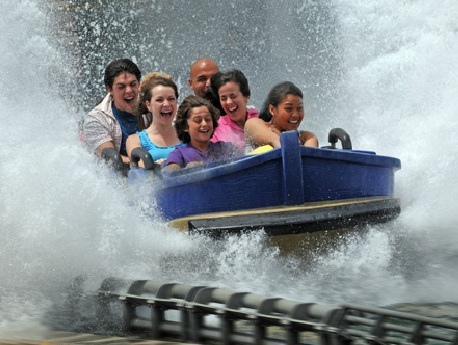 San Diego is a beautiful area and getting wet on rides on a hot Southern California day is a fantastic way to cool off. The sea life will always be the main attraction for me though. The manatees are my favorite! just moved to SDCA recently and i love to ride rides!! Loved Sea World Ohio as a kid. Would love my own kids to experience it now that we moved to AZ! We just moved to San Diego. I can’t wait to go! I cant wait to go in May. What a vacation its gonna be for me and my family. Iove SeaWorld. I’ve never been to SeaWorld! My family and I are totally excited to be going for the first time this summer! My sister and her kids are coming to San Diego for their first visit… It would be so nice to take them to Sea World for free!! My 5 kids would absolutely love this!!! There is something for all ages! 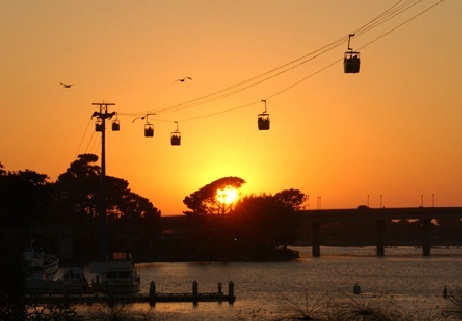 The Bayside Skyride sounds very interesting! I have been to Sea World in Orlando, but I’m looking forward to visiting Sea World San Diego when my parents come tovisit in April. How nice if I could win free tickets for all of us!! I’ve always wanted to go to Sea World, but I live in chilly Pennsylvania! I would love to visit for my first time next month! Thanks for the info, got it from your Twitter! san diego sea world, u rock! Love Sea World San Diego…..I miss my home town sooo much! I would love to check out the new park! Oh my goodnes! My kids are going to San Diego for Spring Break!!! We’ve been to Sea World Orlado and would love to be able to say we’ve done both! Love love love roller coasters and Shamu!!!! San Diego this year than 4 free passes to Sea World! I’m always looking for an excuse to vacation in San Diego! My favorite place! So many great family vacations spent enjoying Sea World. I want to go!! I have never been and I have lived here for 20 years. I love dolphins!!! I have multiple sclerosis ….i would love to win a trip to sea world…while i can still walk and enjoy it….swimming with the dolphins…it on my bucket list.i would give anything to do that before i die!…..but it is first on my list…i didnt know it had rides and so many attractions. Wow! Sea World has changed so much. Went a few years ago to take my daughter to Spooktacular, it was pretty awesome. Before that hadn’t been in years..Looking forward to going soon to see all the upgrades. It’s clearly been too long since I’ve been here. When did Sesame Street join Shamu and Co.? Taking our family vacation in San Diego this year and would love some passes to Sea World! My 4 year old would live these rides!! I want to ride Manta! My kids love Sesame Street Bay at Play, what I grew up calling Cap’n Kids World. Also my daughter loves the dolphins and could watch them all day. Looks like a blast! Would love to spend some time with the dolphins and all the other adventures. My sister hasn’t been since she was an infant. She is turning 13 in march. Would love to be able to take her back. I could always hear the fireworks from my summer camp. I miss SD. ok i admit it been some time since i was home to S. D. but when did they get rides???? not when i was there….. WOW! Sounds fun! It’s been a while since we’ve been there, would love to go again!! I haven’t been to Sea World in more than 12years. My favorite thing to do was to go on the Bayside skyride. The views are truely awesome. I have to make a good effort to get Sea World Summer 2012 to ccheck out the new rides and go on my favorite oldie but goodie. We love San Diego and sea world! Can’t wait to see the. Ewest attraction! I could sit and watch the dolphins all day!! I am very excited for the new rollercoaster!! Wahoo!! Would love to win and be a kid again for a day!! My son and I love Shipwreck Rapids…one not so warm day, we threw on our ponchos and rode it 8 times in a row (no one else was in line)….best time ever! Would love to win & take my young nephew who’s visiting from the east coast for spring break!